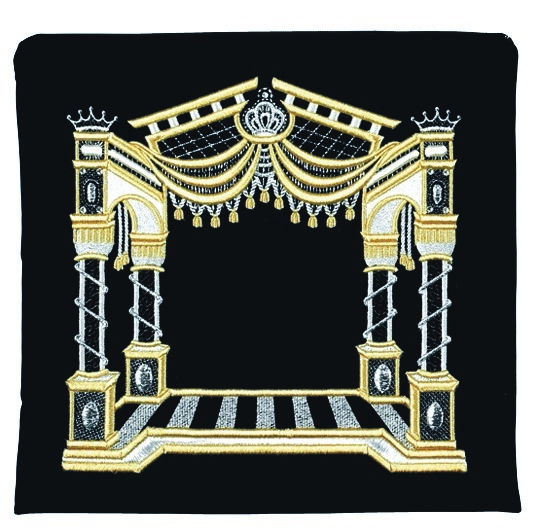 This velvet tallis/tefillin bag is designed with an elegant canopy and supporting pillars. It is artistically embroidered with a draped canopy style. The embroidery is available in gold or silver colored thread. The empty space in the center is perfect for custom embroidery. This bag is available in a either black or navy. 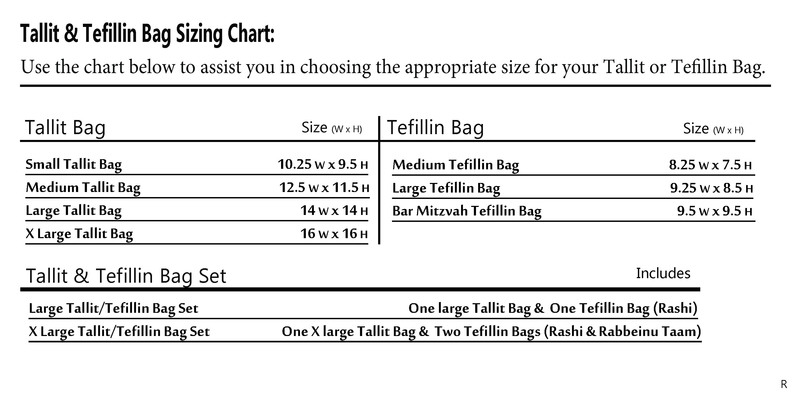 This bag is available as a tallit and tefillin set, as well as separate Tallit and Tefillin sizes.